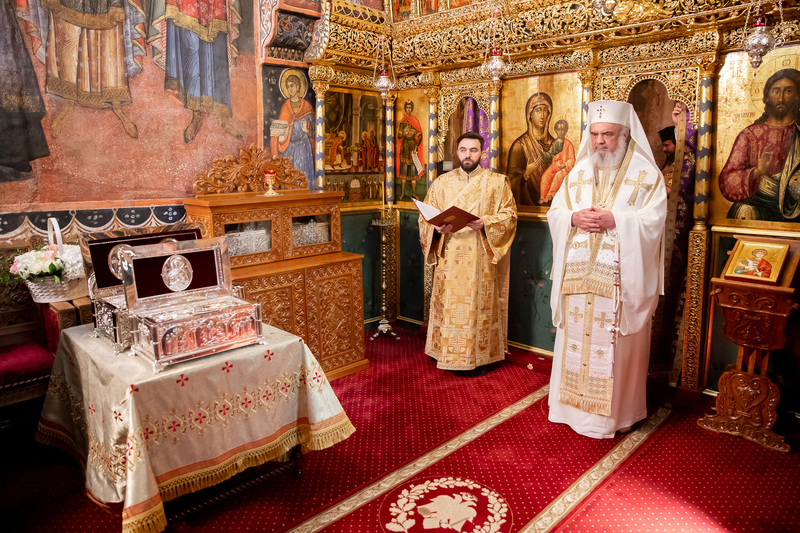 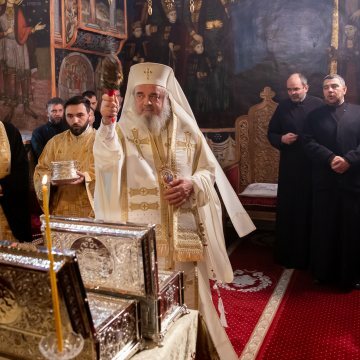 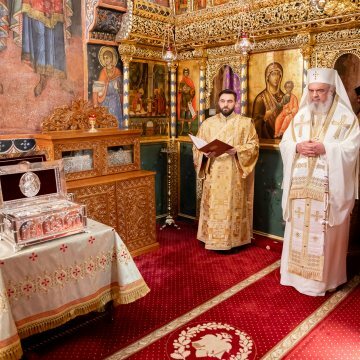 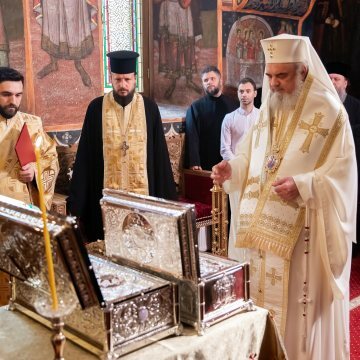 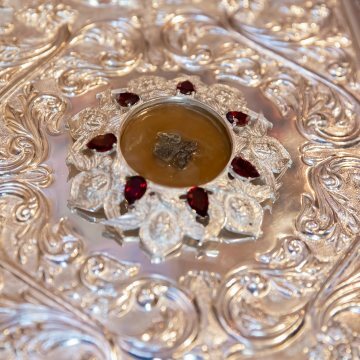 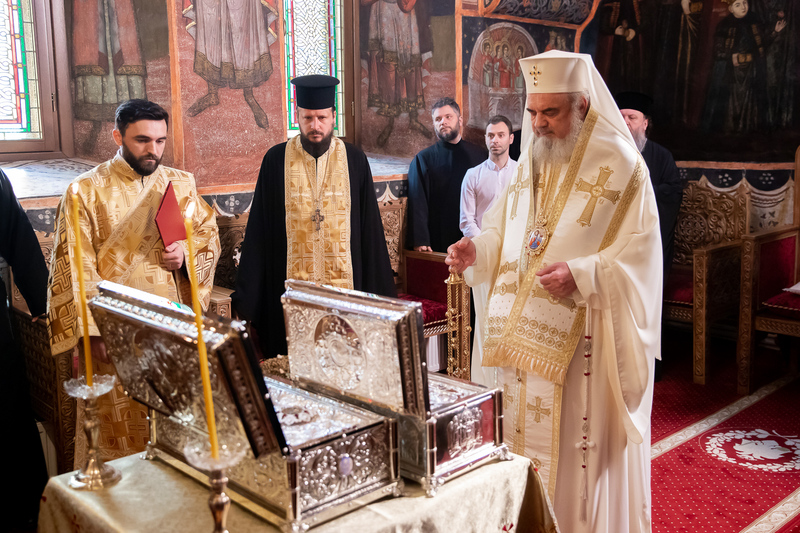 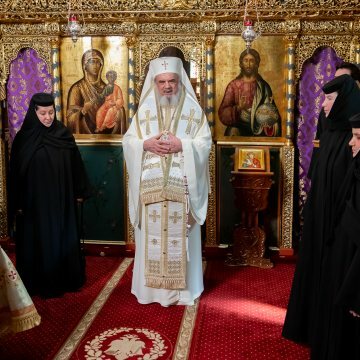 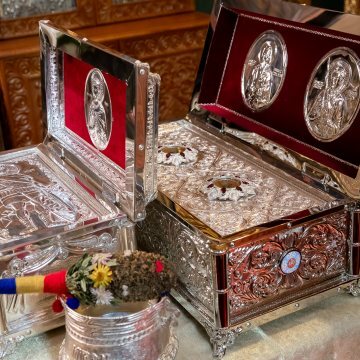 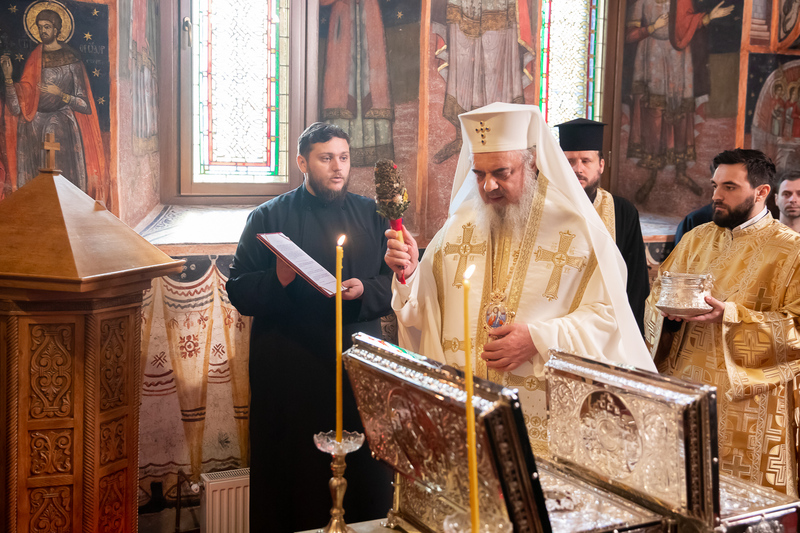 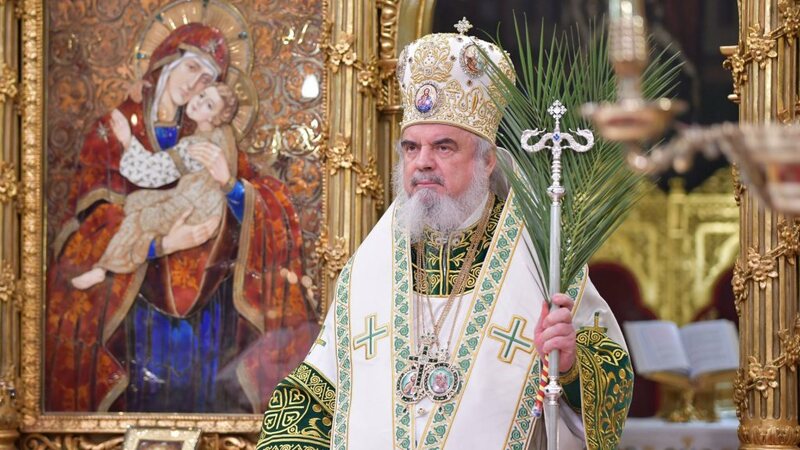 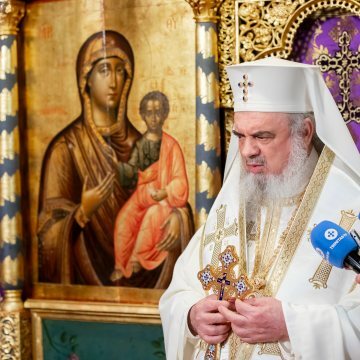 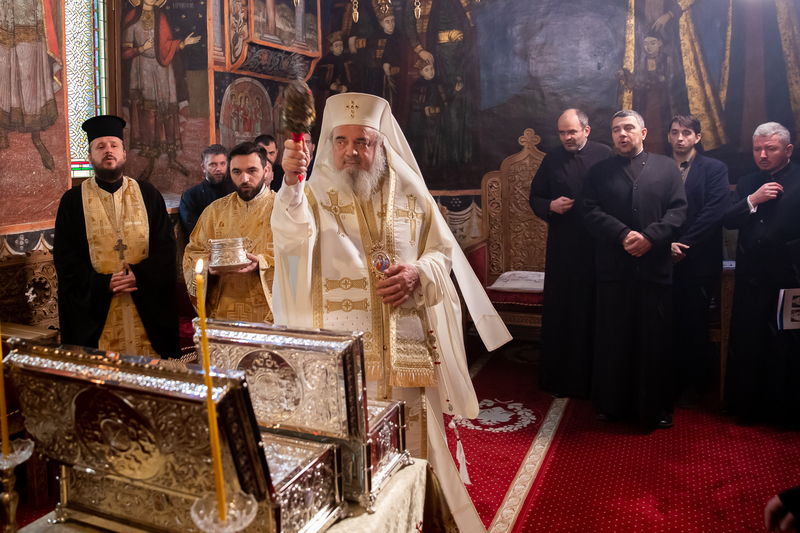 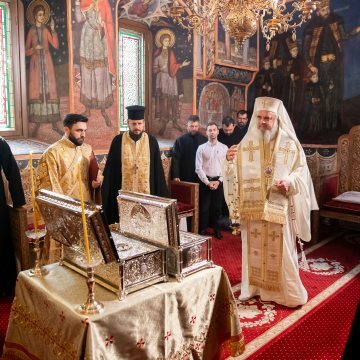 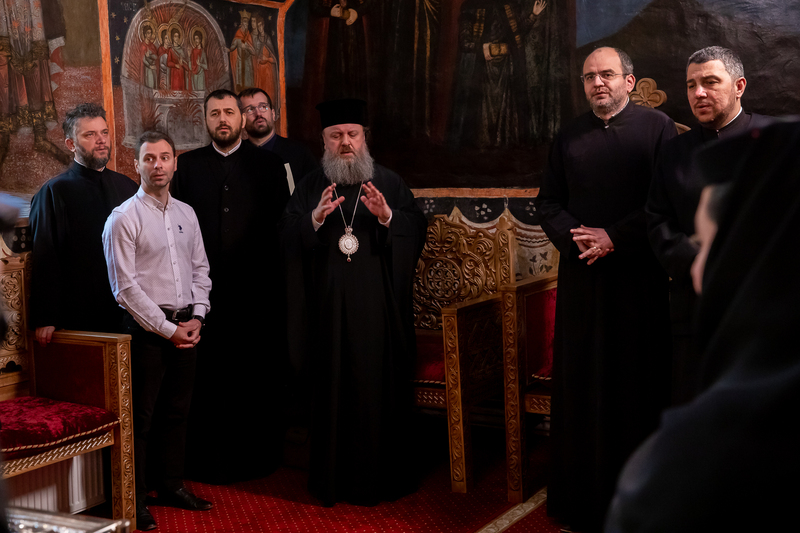 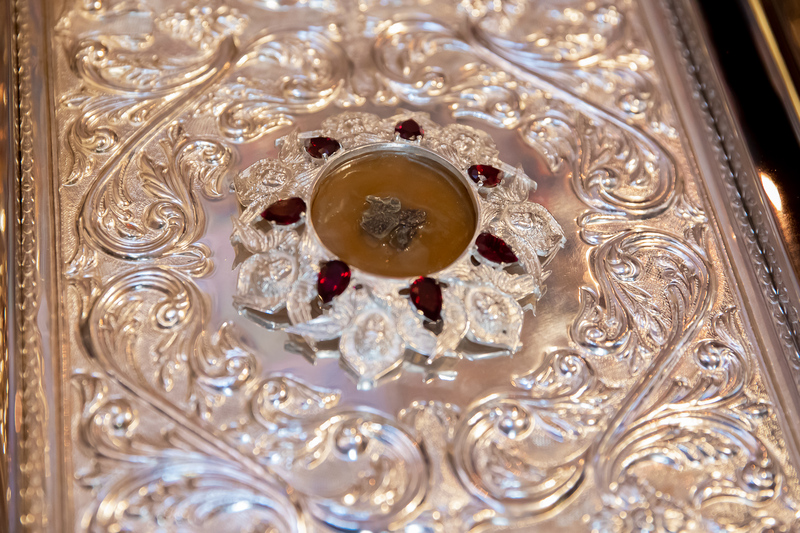 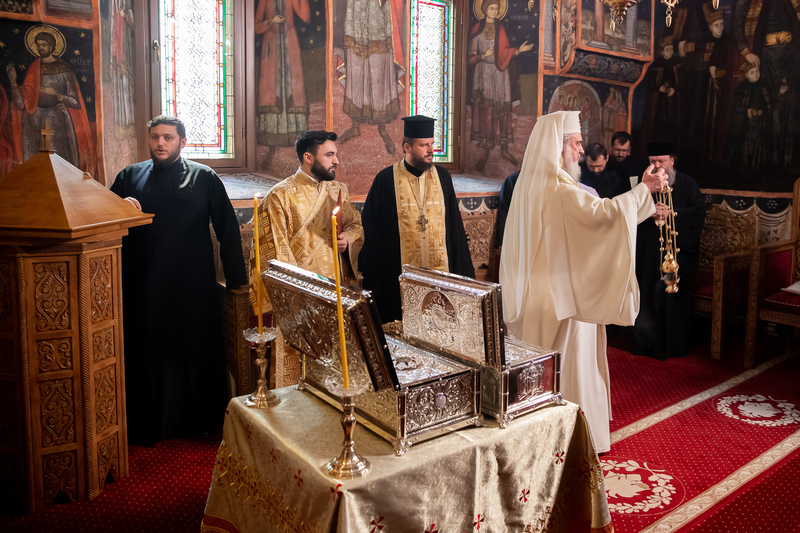 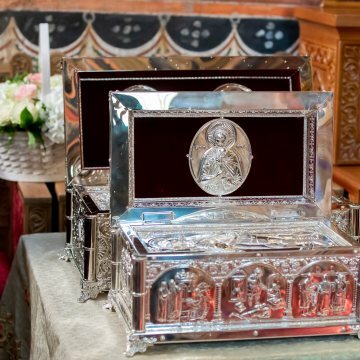 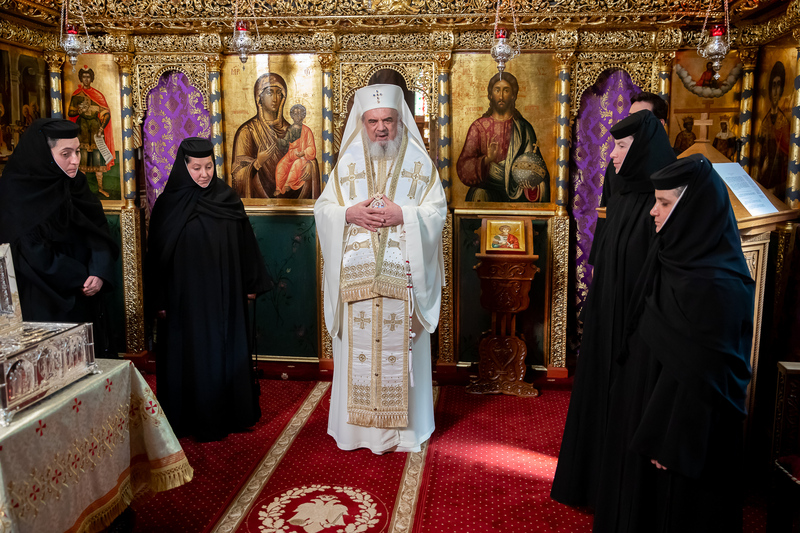 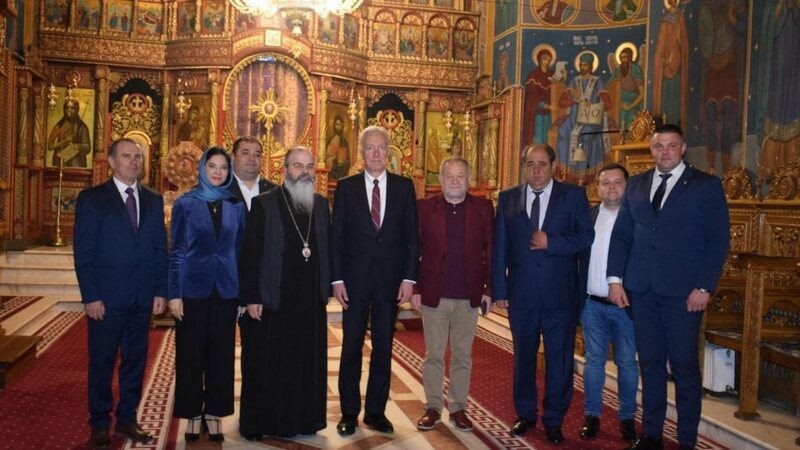 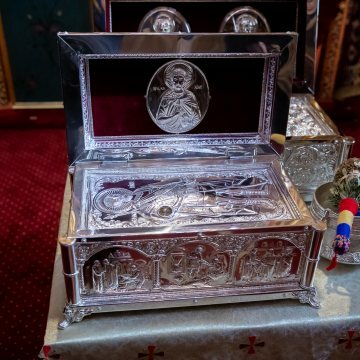 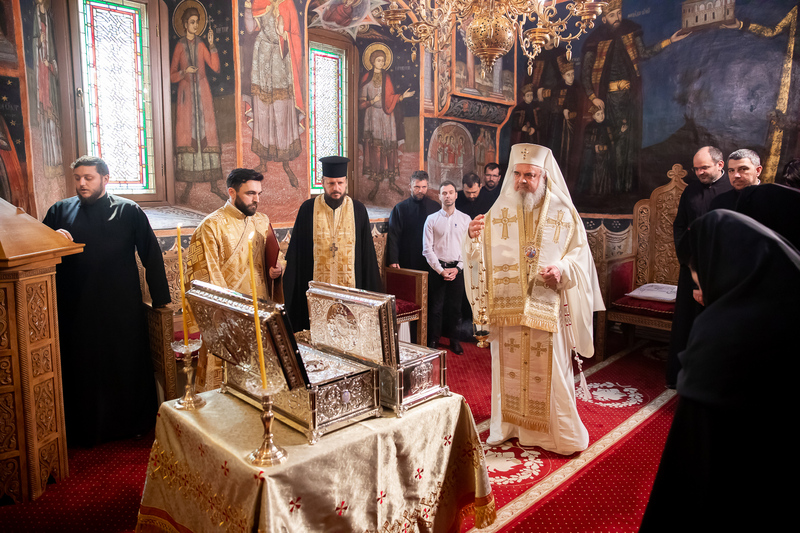 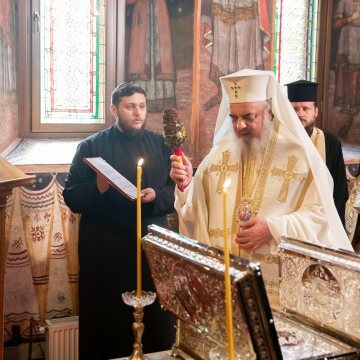 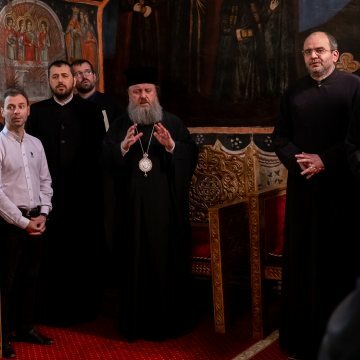 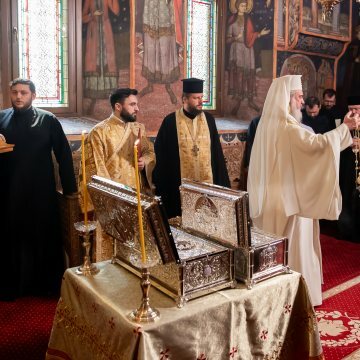 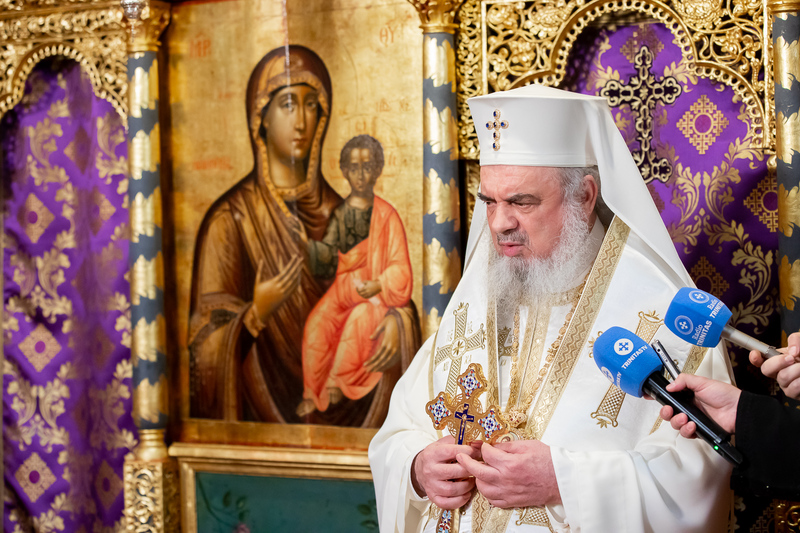 His Beatitude Patriarch Daniel on Monday, April 1, blessed two new reliquaries containing particles of the holy relics of Sts Charalampos, Theodore Tiron and Menas that will be enshrined at Suzana Monastery. 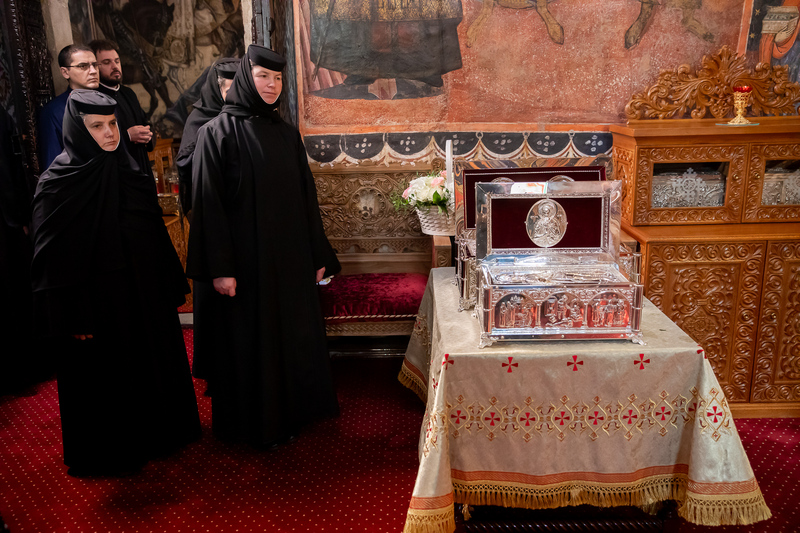 These three martyrs are ‘the protectors of the monastery, but also the helpers of all pilgrims who will bow down before the icons of these holy martyrs and kiss the particles of their relics,’ His Beatitude said. 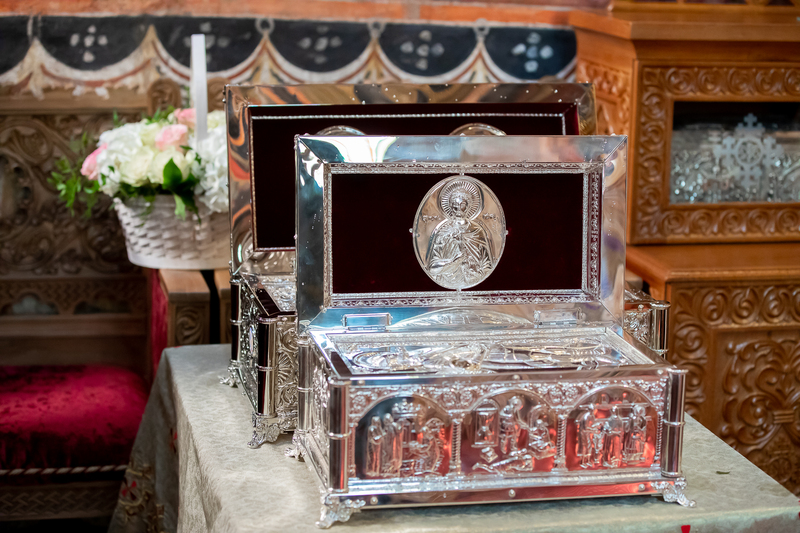 In his speech, the patriarch referred to the wide-spread veneration of holy relics especially over the last years. 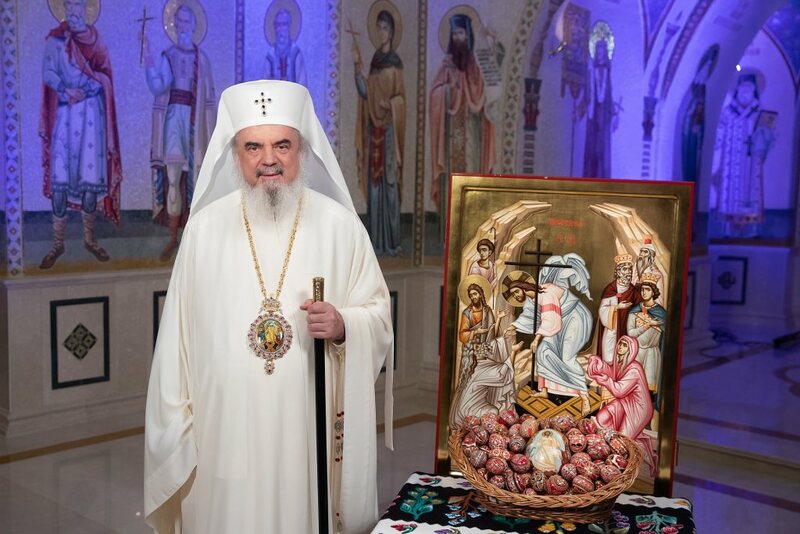 ‘We need models, but even more, we need more intercessors,’ the Patriarch noted. 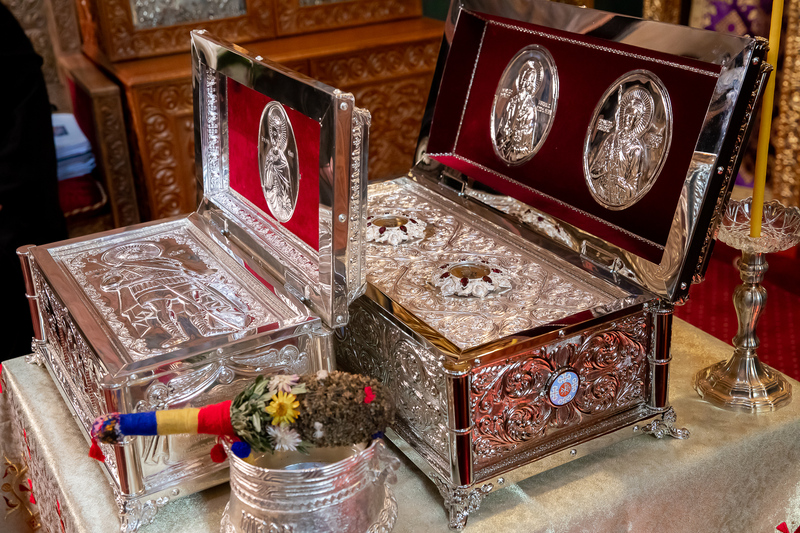 His Beatitude underscored that martyrs are the most numerous saints in the calendar of the Romanian Orthodox Church. 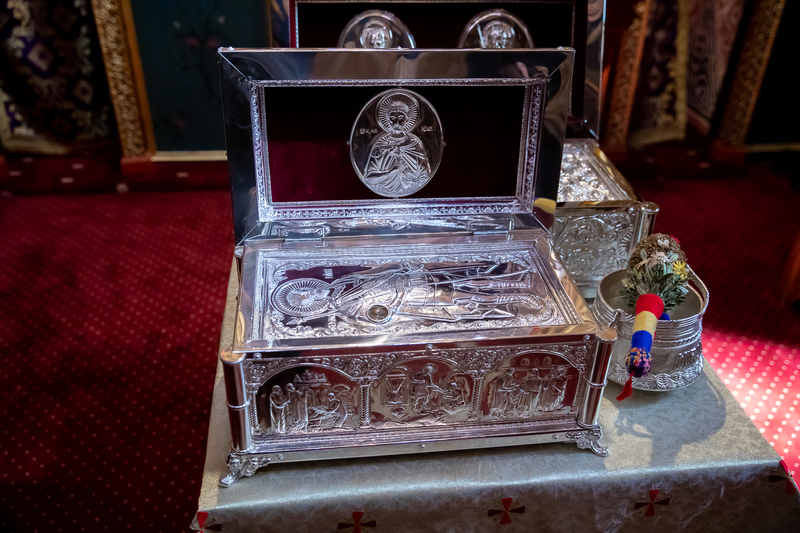 He noted that relics of martyrs are placed inside the altar table and in the antimins when a church is consecrated. 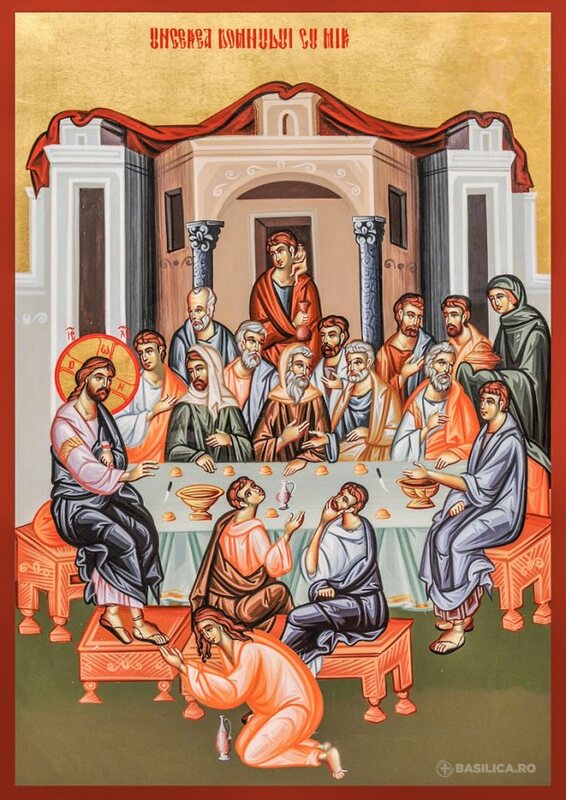 ‘Martyrs are the most close to Christ’s sacrificial love,’ he said. 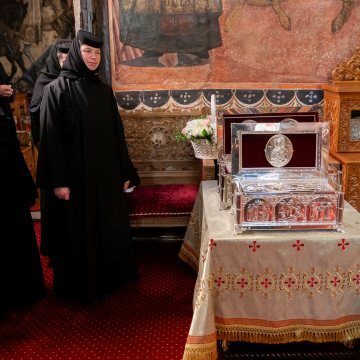 Suzana Monastery was founded in 1740.